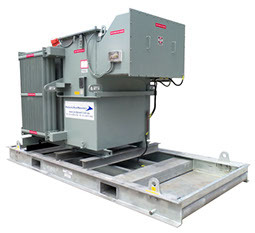 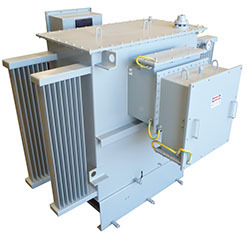 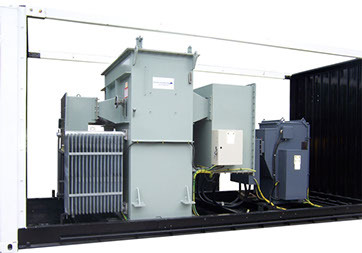 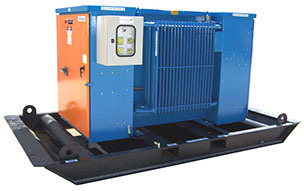 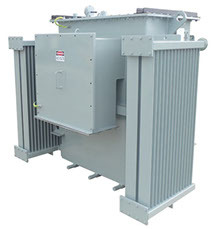 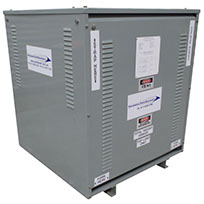 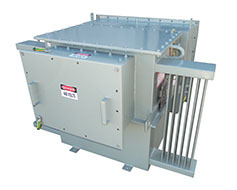 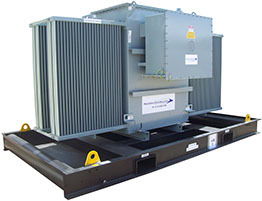 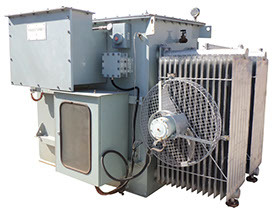 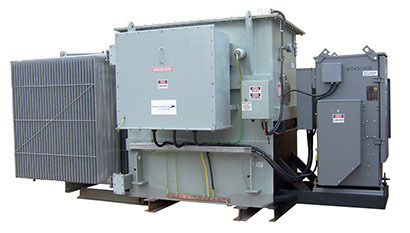 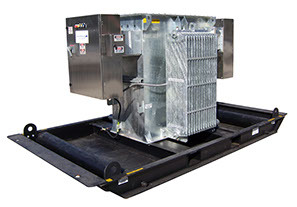 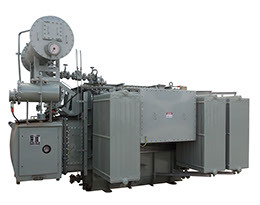 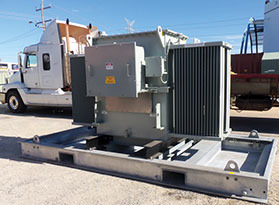 Our transformers are available in different sizes from 10kVA to 10MVA in various voltages up to 66kV. 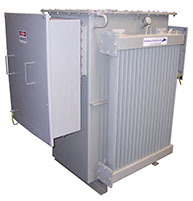 Units are available with oil containment on request, additionally circuit breakers or other protection can be fitted to suit requirement. 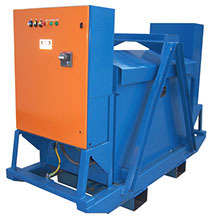 See below a small selection of the equipment we have in our hire fleet. 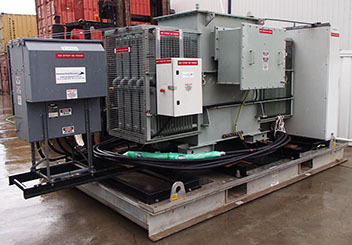 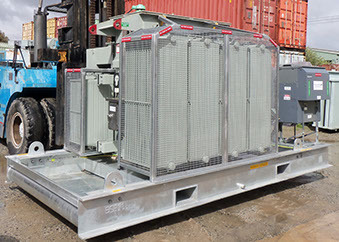 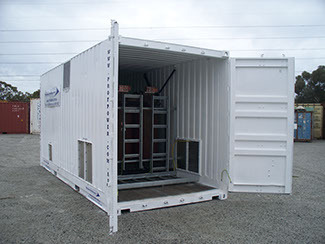 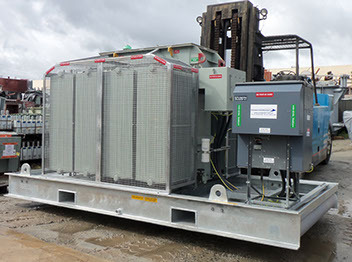 The wide range of substations in our hire fleet can be modified to suit client projects. 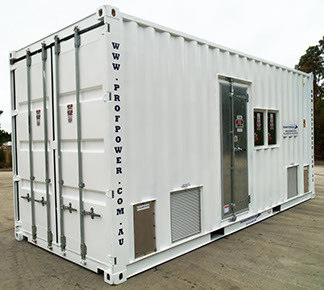 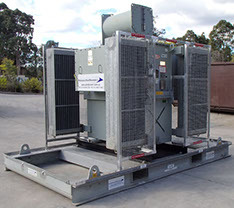 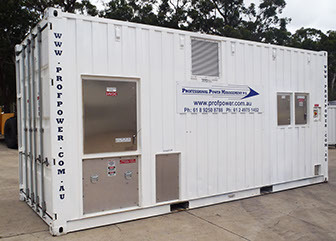 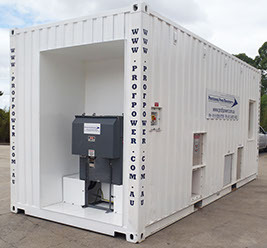 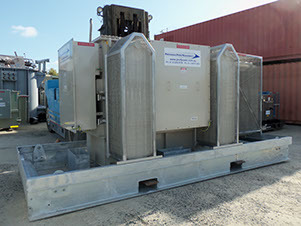 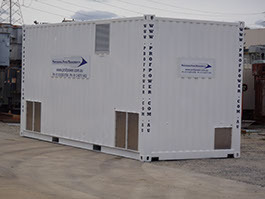 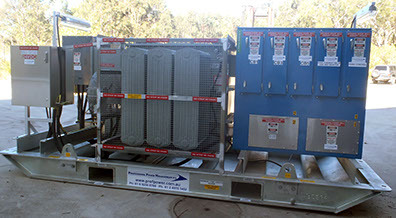 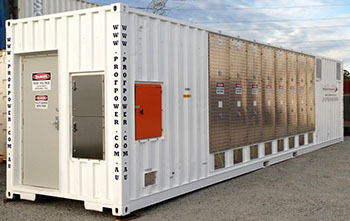 Our substations have contributed to many resource and infrastructure projects in Australia including major electricity supply points in the north west, personnel camp set-ups. 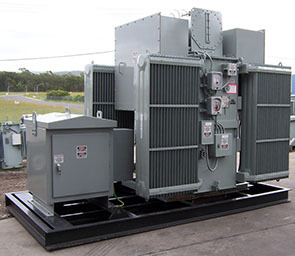 1000kVA 1000/415V YNyn0 step up / step down substation. 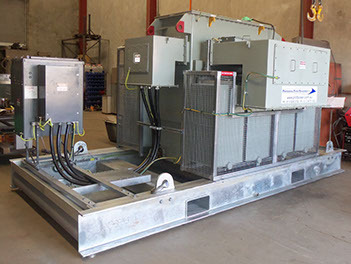 unit is fitted on the LV side with 1 x 1600A circuit breaker and the HV side is fitted with the 630A circuit breaker. 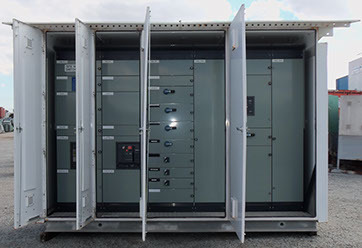 1600 / 2240kVA 11kV substation. 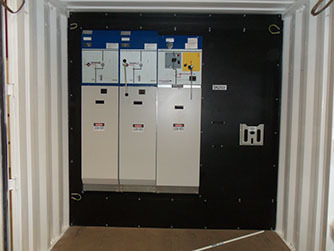 Remote operable RMU circuit breaker fitted with IPR-A O/C & E/F relay. 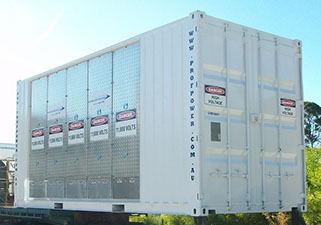 Mounted in 20ft shipping container. 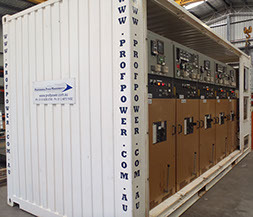 2500kVA 11kV step down substation. 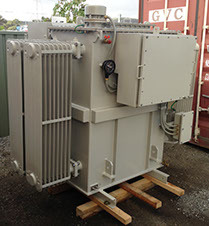 HV has 1 x Merlin Gerin RN6C RMU fitted with Orion O/C & E/F relay, RMU circuit breaker is motor operated. 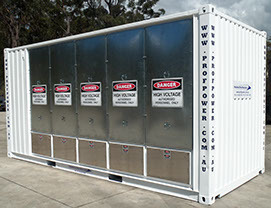 All HV & LV CB's can be operated remotely via pendant. 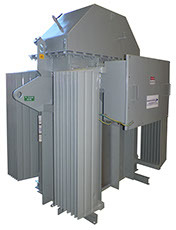 500kVA 11000 / 440V Step up transformer cabled to a Merlin Gerin RN2C ring main unit fitted with Orion IPR-A O/C & E/F relay. 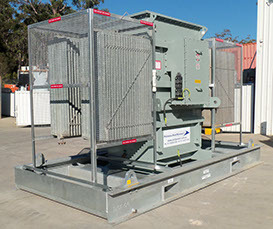 1500kVA 11000 / 433V Step up substation fitted with RN2C ring main unit with Orion IPR-A O/C & E/F protection relay. 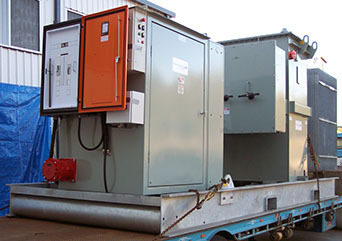 HV fitted with NER. 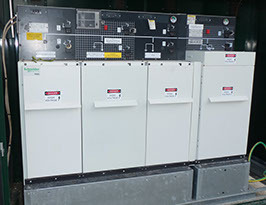 O/C, E/F & E/L relays fitted. 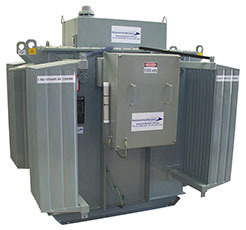 2600/3000kVA 11000/6600 / 415V step up substation fitted with RN6 ring main unit. 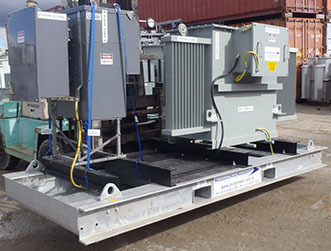 3500kVA 11000 /433V step down substation fitted with with Merlin Gerin RN6C Ringmaster RMU with VIP300 relay on oil containment base. 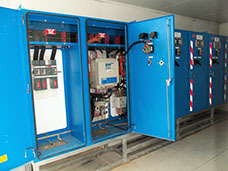 Ring main unit is fitted with a VIP300 O/C & E/F relay. 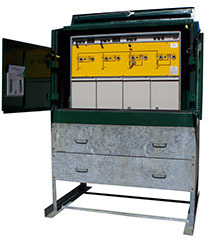 Motorised RMU circuit breaker and LV circuit breakers are operable from external control panel. 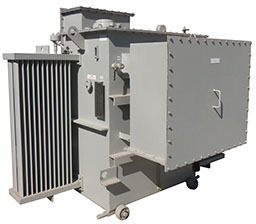 1500kVA 31300/415V YNyn0 transformer. 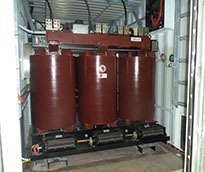 Unit is fitted onto an open rack with a Lucy SF6 24kV 630A ring main unit which has an Orion IPRA O/C, E/F relay. 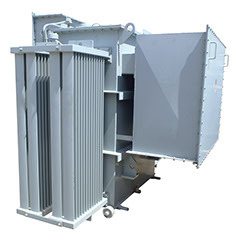 Many types of switchgear are available in various voltages from 415V 33kV. 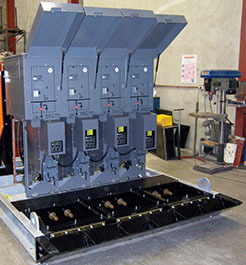 415V 800A switchboard consisting of 2 x 800A load break switches and one 800A circuit breaker feeder. 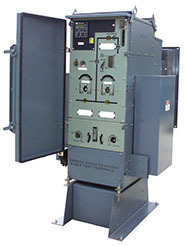 415V 1600A switchboard consisting of 3 x 800A load break switches and one 1600A circuit breaker feeder. 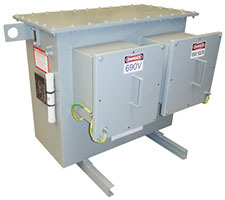 415V 1600A double sided switchboard with main 1600A circuit breaker feeder. 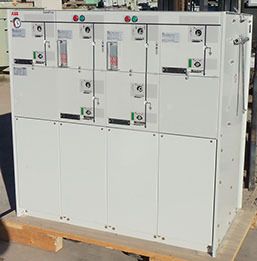 630A incoming isolator & 5 x 110kW pump starter panels. 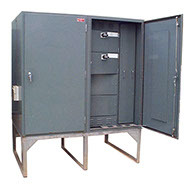 415V 1000A outdoor switchboard, suitable for use as a main distribution board. 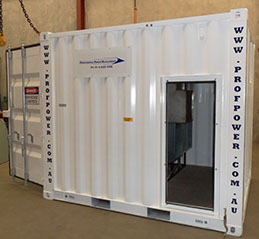 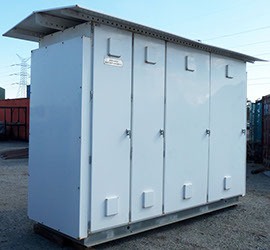 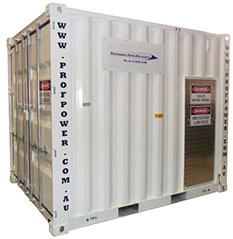 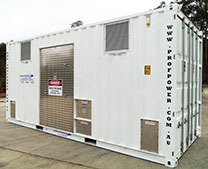 11kV 1250A containerised outdoor switchboard with 2 incomers & 1 feeder. 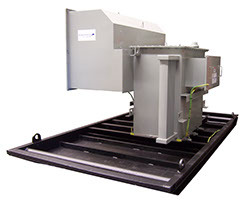 with 6 incomers & 2 feeders. 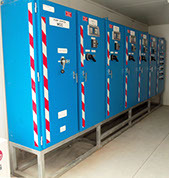 33kV outdoor switchboard using Merlin Gerin 1250A circuit breakers. 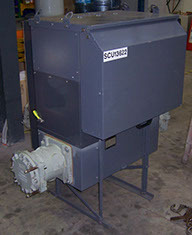 4 Incomers and 1 feeder. 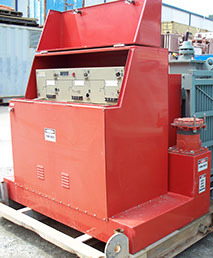 External circuit breaker operation. 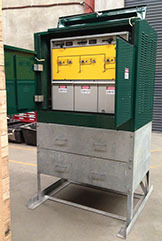 22kV 400A Lucy type SCRMU with 200A CB feeder fitted with Orion IPR-A O/C & E/F relay. 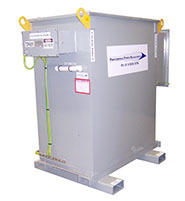 1 x 200A fuse switches. 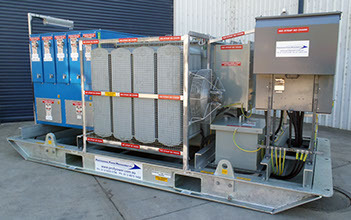 Mounted in an outdoor enclosure. 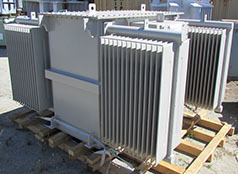 2 x 200A fuse switches. 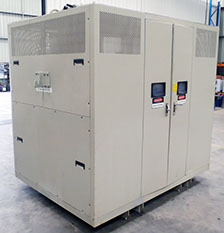 11kV 630A Merlin Gerin RM6 with 200A circuit breaker feeder, bolted adapters fitted to the ring switches. 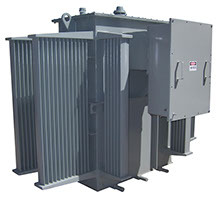 24kV 630A Ring main unit type RM6 consisting of 2 x 630A switches, 1 x 200A circuit breaker and 1 x 200A fuse switch. 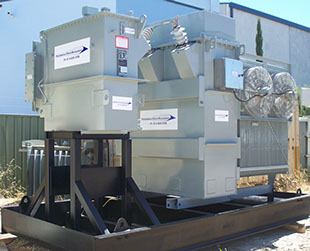 Mounted in an outdoor enclosure. 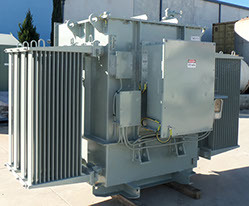 33kV 400A SF6 ring main unit comprised of 2 x 400A load break switches and 1 x 200A fuse switch. 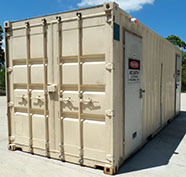 Mounted in 10ft container.